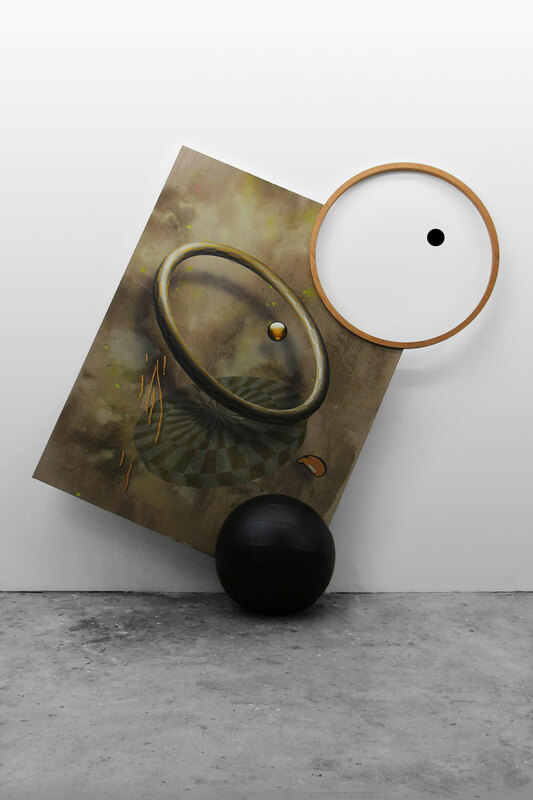 Dominik Halmer’s paintings and pictorial objects are based on the idea of connecting painting to real space. 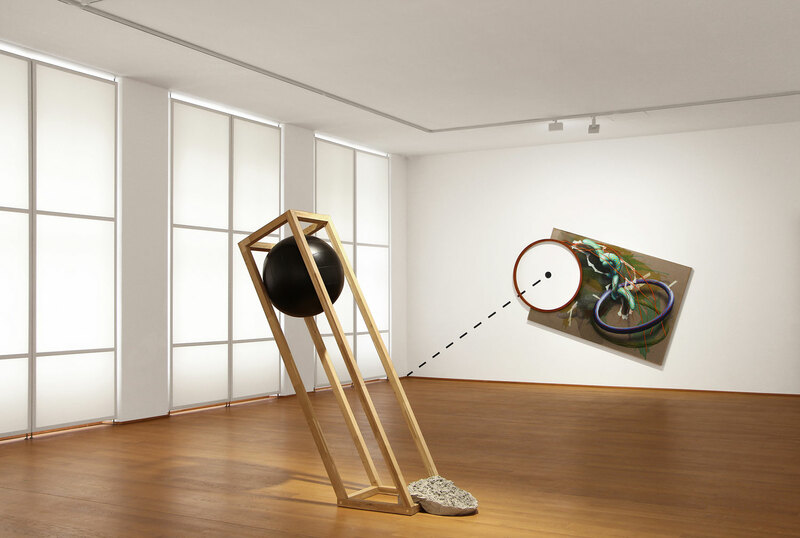 In his multifaceted works, three-dimensional objects like wooden rings and balls interact with painted elements and gestures. 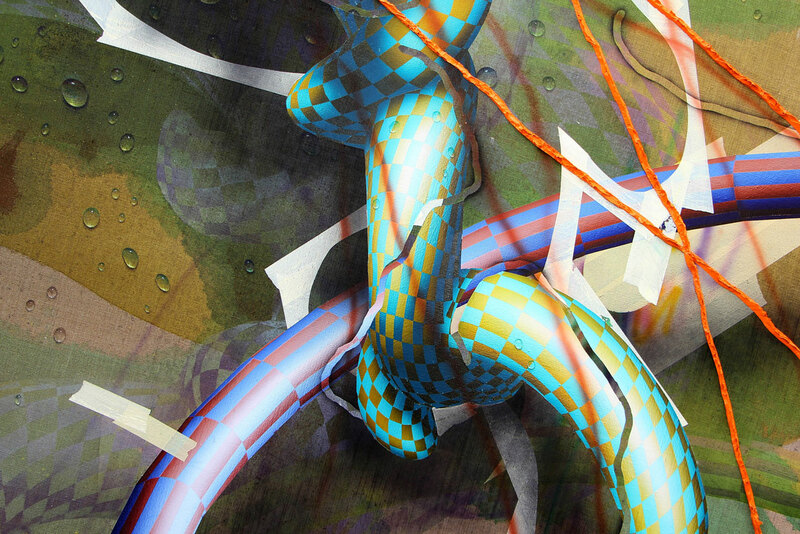 Different levels of reality, which are connected through visual analogies, collide in a poetic and associative whole. 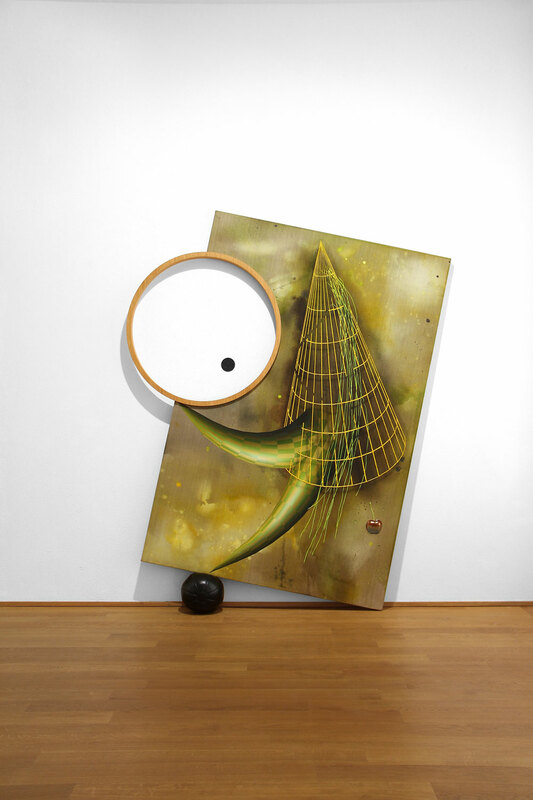 Halmer plays with an internal system of references that suggests a rule-based relationship between canvas painting, object, and spatial sign. 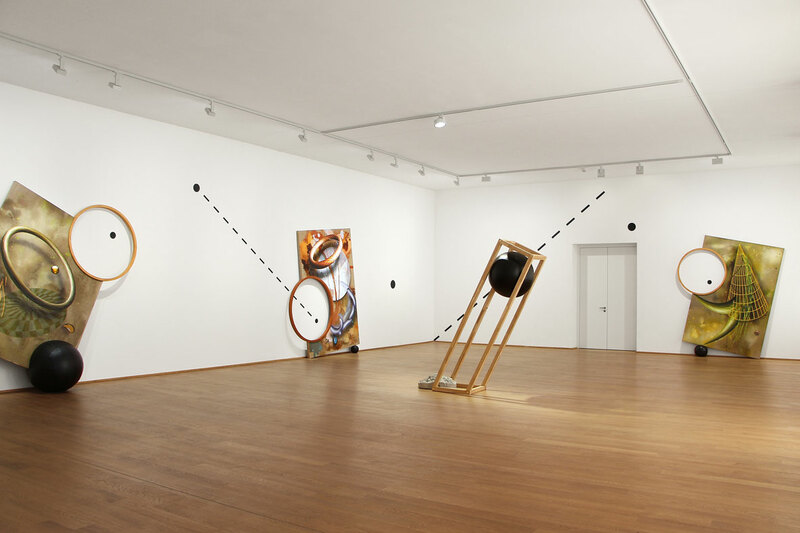 In the installation TERRITORY, which was made especially for Museum Wiesbaden, Dominik Halmer places graphic symbols on the wall that let the individual works play off one another by engaging in a dialogue addressing fundamental ideas about the nature of processes and meaning. 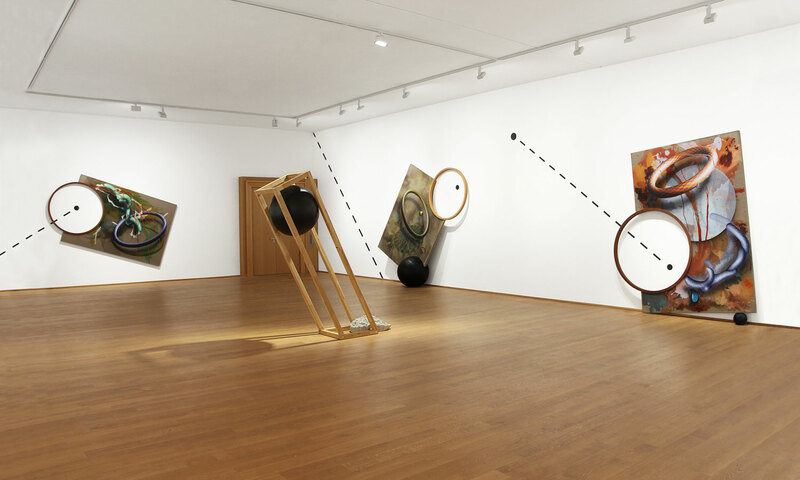 The exhibition room is thus transformed into a dynamic, visual field of experimentation in which the works resemble machines of transformation that inspire the beholder to become intellectually involved. 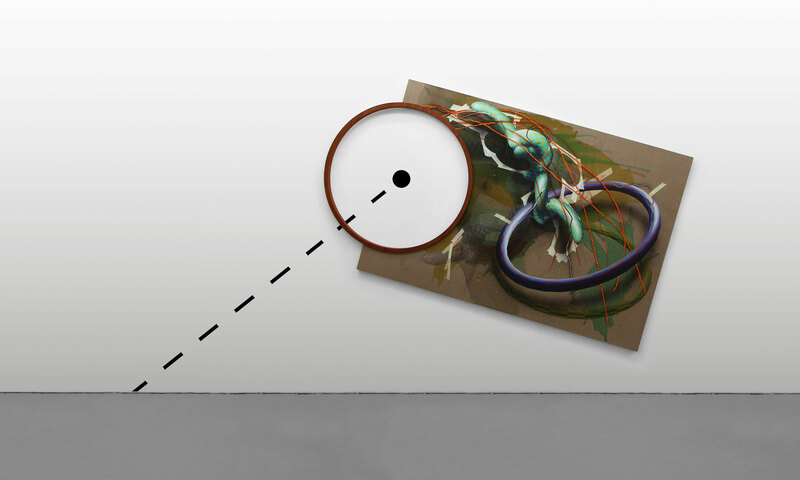 The paintings appear as variables, so to say, in a kind of experiment that allows us to explore questions about the relationship between object and representation, between functionality and artwork.